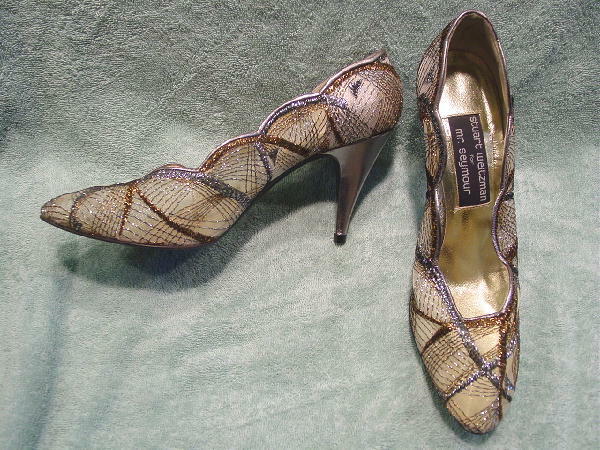 These vintage silver mesh pumps are by Stuart Weitzman for Mr. Seymour. They have a metallic thread design in silver and copper. 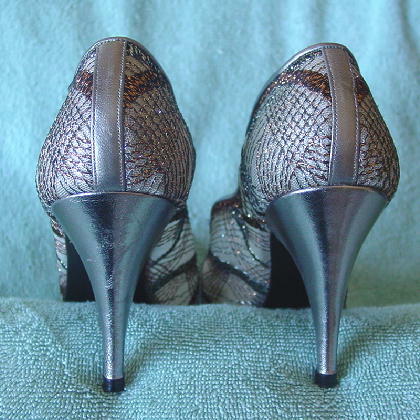 The scalloped foot openings are edged in silver lame leather and the foot backs and heels are also silver lame leather. 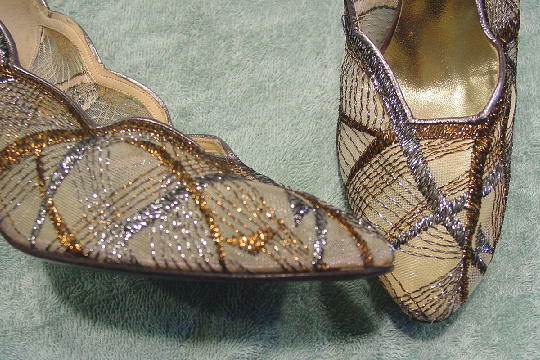 The left heel has some scuff marks. She got them as a present. She takes a smaller size.